Now that spring has arrived, it's a good time to think about adding more plants to your home and office to bring nature indoors with you and benefit from the healthy environment they create. We are proud of our green, blooming, and succulent plant collection at our Rochester flower shop. Here are some of the highlights: Lovely One Spathiphyllum Plant The spathiphyllum plant features white flowers with long-lasting beauty and easy maintenance. Dish Garden Ceramic Planter - Premium This is a 14-inch ceramic planter that overflows with a mix of colorful blooming plants and green plants based on what's available at the time of order. 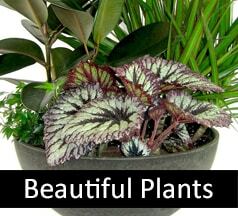 Dish Garden Ceramic Planter - Large You can also choose a smaller size from the premium edition like large, which still provides a generous amount of green plants and blooming plants. 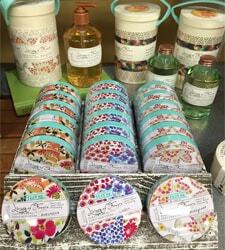 There are also other smaller sizes to select from, including a medium or small ceramic dish option. Dish Garden Basket - Large Instead of a ceramic dish option, you can also get a garden mix of green and blooming plants that are arranged in a wicker basket. While this is a large size, there are smaller sizes to choose from. Spring Has Sprung Mixed Basket This basket gives you the best of spring in terms of green and blooming plants. This one offers a purple African violet, yellow begonia, pink kalanchoe, and white hypoestes arranged in a round basket. Come see what other plant options we have in our Rochester flower shop! Now that Daylight Savings time has arrived and the official start of spring is just around the corner, it's time for our Rochester flower shop to prepare for the season. Up first are two special March days that can be enhanced with floral decor: Plant a Flower Day on March 12th (that's today!) and St. Patrick's Day on March 17th. Here are some options to decorate your home and office as well as to give as gifts to brighten other's day: Luck of the Irish Bouquet Get into the spirit of green for St. Patrick's Day with this bouquet that offers green hydrangea, cymbidium orchids, and other green flowers arranged in a green glass cube. Saint Paddy's Day Delight This St. Patrick's Day arrangement offers green hydrangea and roses accent in a green glass cube. Kiss Me I'm Irish Garden Another option to go green is with a garden gift. This one contains shamrock and ivy in a white-washed wooden box with a "Kiss me, I'm Irish" sign. Green-Eyed Girl Bouquet A green glass cube is filled with white roses as well as green carnations and mums, creating a festive look for St. Patrick's Day. 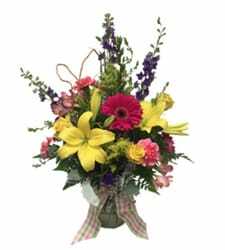 View From High Falls Bouquet This spring flower arrangement is ideal for Plant a Flower Day or any day for that matters. 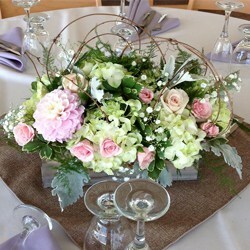 It has lavender roses, green cymbidium orchids, and spiral eucalyptus. 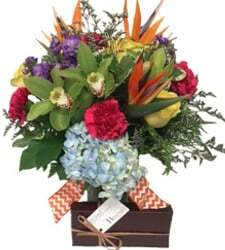 Come visit our Rochester flower shop to see these bouquets and others. You can also order by calling or visiting our website. 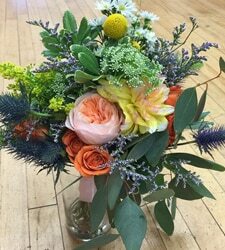 Our Rochester flower shop is always focused on staying on top of the latest floral trends to offer those new designs for all occasions, including those that fit decorating, gift giving, events, and weddings. Here are some of our latest floral designs that highlight today's trends: Cross Their Mind Bouquet This floral design offers premium flowers in a thoughtfully arranged style. 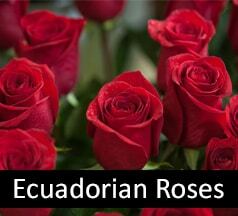 It includes lavender roses, green cymbidium orchids, and spiral eucalyptus. Starry Nights Bouquet Inspired by Vincent Van Gogh's painting of the same name, this flower arrangement shows that inspiration comes from anywhere. It features blue delphinium, bright yellow roses, yellow mums, and blue hydrangea. 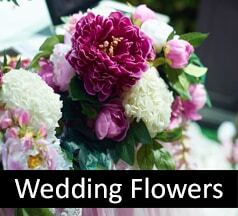 Exquisite Beauty of Greece Even specific geographic locations can become an inspiration for today's top floral designs. This one offers a lavender vase filled with colorful blooms and a mix of textures. Glorious Day This stunning floral design brings together seemingly contrasting colors -- pink and yellow -- and shows how these colors can work well together when arranged in a Couture Vase. Purple Elegance Centerpiece Sophisticated floral designs are accessible to everyone with this stunning floral centerpiece. 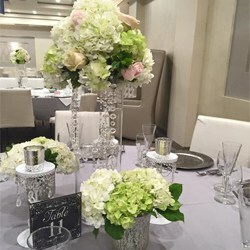 You'll find blue hydrangea, purple tulips, and lavender and pink roses that are presented in a Mercury Glass Bowl. Limelight Bouquet Another trend is a singular color like this one that features numerous shades of green. There is a wide range of green flowers and seasonal greenery combined with various heights and textures to add interest beyond just using numerous colors. 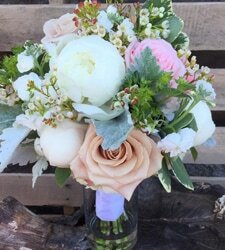 Come see more of what is on trend by visiting our Rochester flower shop or our website!